Traffic Safety 4u - Course Listing - Traffic Safety Information & So Much More! Coming soon, if traffic school is available in your state. Check with the Colorado DMV for a list of available schools in your area. Check out our Great Teen Book! 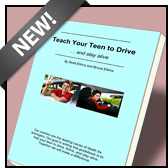 Teach Your Teen to Drive…and stay alive is a fun and informative book that helps parents and teens to fulfill the practice driving requirements. Eight simple, life-saving lessons feature innovative instructional techniques that will teach you to safely operate a motor vehicle and reduce the stress and anxiety associated with learning to drive for both you and your parents. There's even supplemental bonus material in a free online addendum. Order your copy (via Amazon) today and learn to drive the easy way!